Q4 is the best time of the year for brands as an increasing number of people are using Amazon to fulfill their holiday shopping lists. What is the key for brands to reap the maximum benefits during this busy season? 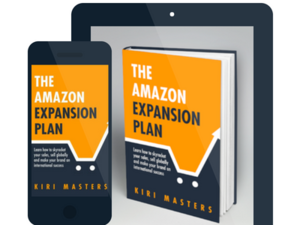 It’s absolutely essential to maintain a steady level of inventory on Amazon. Brands need to be proactive and preemptive regarding maintaining inventory levels in order to stay ahead of the game. Overall case studies show that brands facing product stock-outs experience a sure drop in the sales and product conversions as well as decreased click rate. Ineffective inventory management appears to be the single biggest “killer” of building sales momentum for products on Amazon. Below are a few points that demonstrate the importance of inventory management and its impact on your product investments and sales. Why is Inventory Management so important? Inventory management is essential throughout the year as the momentum of your product sales through the advertising campaigns you implement increases over time. With increased sales momentum you witness more click rates, sessions, conversions, and sales. However, all of that is only possible if you have a product in hand! Once your product inventory levels reach nil, your products’ momentum is lost. The decrease in click rate translates into lost value in your advertising investment. To continue increasing the momentum of your products, it is critical to continuously monitor inventory levels to ensure that there is no break in your ability to meet customer demand. Maintaining your inventory levels during the holiday season is especially important because this is the time that, typically, you expect the most sales. If you are not able to meet the demand or do not have your inventory levels on point, you have lost out on the highest sale opportunities of the year! One of the common errors made in inventory management is that sellers and vendors do not keep tabs on the sales velocity of their products and the product inventory levels. Keeping a check on your sales rate helps you determine how many days worth of inventory you have left. You also need to factor the time taken to manufacture your products and, if you have FBA, the time it takes for the products to reach Amazon as well as Fulfillment Center processing time. Failure to provide adequate re-supply time lead to the greatest chance of reaching the dreaded zero inventory levels. On the Vendor side of the game, monitoring Purchase Orders (POs) from Amazon is essential and, in most cases, needs to be anticipated in order to ensure the supply flow. In case Amazon POs do not meet your anticipated levels, you can switch over to SC, benefits of a hybrid account, and offer the ASIN on SC to prove your product’s demands. This generally happens in the case of newer goods where Amazon has not yet determined the demand and you need to compel Amazon to increase the POs for your products on VC. However, it is important to note that this strategy requires a patient mindset and confidence in your products. On the Seller side, the brand or sellers themselves need to decide the sales momentum to avoid stock-outs. Many of our brands use the option to switch to FBM in case they run out of their FBA inventory. In this case, daily monitoring of your inventory levels is essential so that you know when to switch over to FBM and keep a steady availability of your products. Furthermore, weekly calculations of sales velocity for each SKU helps identify product trends and understand projections. In case your FBA inventory runs out, you can have the option to switch back to FBM where the seller has to fulfill the delivery individually and directly to the customers. Although it’s a good stopgap solution, as a consistent model, it’s got its challenges. You need to keep in mind to replicate the FBA services to be able to provide the same experience to your customers. This would include free shipping, free returns, expedited delivery services to make more attractive offers for your consumers. We do not recommend FBM as a core business model because brands do not get the benefits of Prime eligibility. There is a huge drop in sales and conversions when a product is FBM because people tend to filter out all products that are not Prime eligible. Prime eligibility has become a standard of convenience and security. The Prime effect is an absolute key because it has led to a psychology transformation in many customers when it comes to shopping online in general. People have gotten used to fast deliveries (even one-hour deliveries in major cities), free returns and shipping. Amazon doesn’t release the data for total Prime customers but there are a lot out there and the number is only increasing! Research also suggests that Prime customers spend around twice the amount on Amazon shopping compared to Amazon consumers without a Prime account. The Prime effect basically suggests that brands need to have a PRIME offer to make their products competitive online. As a Project Manager, often I will advise newer brands or brands who are slower to resupply inventory to consider using FBM as a backup to their FBA inventory. My team will closely monitor FBA inventory and if we run out, we will switch to FBM. This way, brands don’t suffer the effects of running out of stock (decrease in click rate, sessions, conversions, etc.) which can be detrimental during the Q4 holiday seasons. PPC advertising takes some time to build momentum and it entirely relies on your inventory. All the time and effort taken to build the efficiency and productivity of your campaigns for the lowest monetary input is futile if you have a stock-out. Your product ranking is severely affected too. Even after the inventory is returned, it still takes up to two weeks to rebuild your momentum and performance levels. When it comes to brands, the most important factor to balance is cash flow while planning and maintaining your inventory. Basically, if you do not have enough cash flow to restock your inventory, then you don’t really have a choice! Typically, Amazon will pay in two-week increments in the seller program and the cash flow is relatively quick. However, in the vendor program, you are looking at a payment period of 60-90 days. In terms of product returns, Amazon has a generous return policy. On the VC, Amazon handles all returns and will either re-sell the returned product or return it to the brand. On SC, the sellers or brands have to take care of the returns and decide whether to have the product returned to them or ask Amazon to destroy it. The best option is to have the product returned to you so that you can decide for yourself whether the product is damaged or can be repackaged to sell. There are a couple of tools online that help brands on SC with their inventory forecasting using a fancy algorithm to predict inventory. 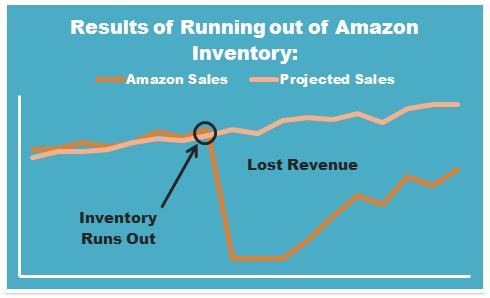 Amazon’s own system for inventory forecasting is not that great as it provides incomplete analysis and information. It’s better to use other tools or own analysis for your management. A robust inventory management tool that we often recommend is Forecastly, which describes itself as a predictive analytics and demand forecasting tool. For those brands that go back and forth between FBA and FBM, it’s important to have a manual process and projections for your inventory management as Amazon doesn’t really cover your FBM inventory. 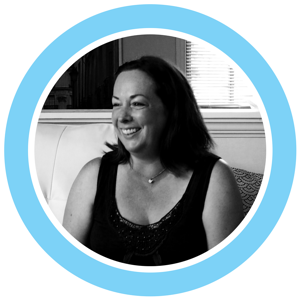 How can Bobsled Marketing help you? It’s quite apparent that regardless of your platform and business model, inventory stock-out is a definite disaster for your product and sales. Keeping on top of your inventory management is the only way to overcome the problem. Q4 is the best time of the year for your sales but only if you have an inventory! Bobsled Marketing offers a whole range of services to our brands to give them an edge over the other sellers and vendors on Amazon. Bobsled performs weekly inventory management processes which take into consideration fulfillment method, inbound stock, current and reserved inventory, quarterly projections, speed in which the supplier can re-supply and safety stock. Monitoring these trends on a weekly basis helps us to refine our inventory projections. We also help clients to navigate fulfillment options like FBA and FBM and switch between them when necessary. For Vendors, the workflow centers around ensuring our clients’ Purchase Orders are received, filled, and invoiced correctly, and disputing erroneous chargebacks. Learn more about our Amazon Seller Channel Management Services, or our Vendor Channel Management Services, to see how we can help your brand to maximize sales and operations on Amazon.